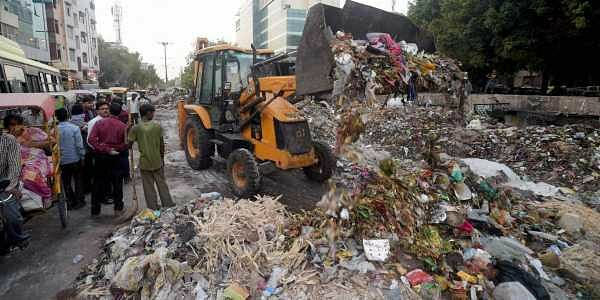 The central government has approved a Rs 300 crore plan for "visible improvement" in solid waste management in the national capital. He said that under this plan, north, south and east municipal corporations of Delhi (MCDs) would spend Rs 100 crore each for procuring machines for collection, transport and storage of solid waste. "All vehicles and mechanical equipment would be procured and commissioned by the end of December this year," Puri said at a conference on "Public Affairs: Effective Advocacy and Public Policy Strategies" here organised by the Public Affairs Forum of India (PAFI). He added after being procured, accelerated composters and bio-methanation plants would add a waste treatment capacity of 670 metric tonnes per day of bio-degradable waste besides preventing release of foul gases, smell and proliferation of germs, pathogens and pests. Delhi currently treats 5,100 metric tonnes of solid waste every day, out of which only 200 metric tonnes is treated through composting while the rest 4,900 is treated through incineration. The ministry would provide an assistance of Rs 80 crore to each MCDs from the Urban Development Fund operated by Delhi Development Authority to procure a total of 549 units of modern equipment, a statement said. As per the plan, 50 battery-operated litter pickers would be procured for market area in each MCD apart from a total of 272 auto-mounted litter pickers, one each for every ward. Apart from that, 20 accelerated composters of one-ton per day capacity and 10 bio-methanation plants of five-ton per day capacity would also be procured. Other equipment and machines to be procured include compacters, underground bins, mechanical road sweepers, and super sucker re-cycler machines for drains and sewers, said the Minister. About 14,000 metric tonnes of solid waste is generated in Delhi every day. While 5,100 metric tons out of this is treated, the rest is dumped on four large dumping sites including Ghazipur which presently holds 130 lakh metric tonnes of solid waste.